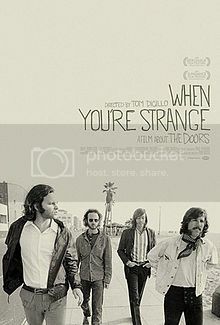 “I want to have my kicks before the whole shithouse goes up in flames.” A fascinating documentary about legendary rock band the Doors, When You’re Strange was written and directed by Tom DiCillo and narrated by Johnny Depp. DiCillo utilized original footage of the band – which included Jim Morrison, Robby Krieger, Ray Manzarek and John Densmore – rather than retrospective interviews in an effort to show the band in their prime rather than “cutting away to old farts talking about the significance of ‘The End.’” Manzarek referred to the documentary as the “true story of the Doors” and “the anti-Oliver Stone,” alluding to the 1991 biopic The Doors. Depp called When You’re Strange “a meticulously crafted, exhilarating ode to one of music’s greatest, most exciting ensembles.” The film won a Grammy Award for Best Music Video/Long Form. Useless Trivia: DiCillo served as cinematographer for Jim Jarmusch’s offbeat 1984 film Stranger Than Paradise.